Composer Maurice Jarre has died in Los Angeles aged 84. His scores included Lawrence of Arabia, Passage to India and Doctor Zhivago. 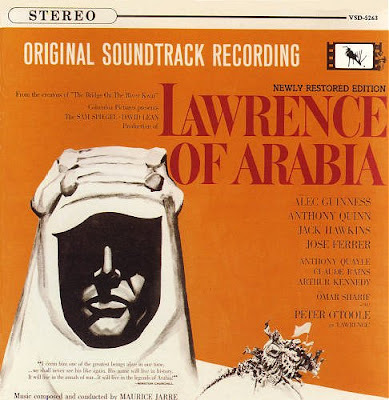 My parent's 1962 LP of the Oscar-winning soundtrack for Lawrence of Arabia was an integral part of my music education. The superbly crafted scores of Maurice Jarre, Malcolm Arnold and many others introduced classical music to generations of cinema goers. What is the 21st century version of this truly inclusive form of music education? I think film music is still introducing people to classical music, whether it's in the new movies or from the DVDs of older titles. And long may it continue. Maurice will be hugely missed. I worked with him a lot in concert and in seminars and interviewed him many times. It was a privilege to get to know someone who had provided part of the soundtrack to my childhood. He was a real charmer and very approachable. Everyone who knew him loved him. Tommy, thanks for that, and I hope you are right about film music continuing to provide an introduction to classical music. I have to say I am astonished at the lack of coverage on the music blogs of the death of Maurice Jarre. He may not have been a musical genius - whatever that means. But his music, which was never less than wonderfully crafted, touched many, many more than that of, say, Schoenberg. We don't have to choose between Schoenberg and Jarre. We can have both, thank goodness. I took your point about the lack of blogging on Jarre and did my own. Of course referring to you. Let me know what you think. Buried among the facts are some opinions I'll stick to.